Today is International Women’s Day. And yes, while we agree that every day is Women’s Day, we’re still eager to take advantage of the occasion to celebrate a few women who deserve some extra frosting. We’ve curated a mashup of unapologetically defiant quotes, colorful hijabs, a variety of passports, and a few servings of sass. Here are 12 women from different industries changing the game, challenging the status quo, and adding a splash of inspiration to your morning coffee. Born in 1940 to one of Gaza’s old landowning families, Laila Shawa was 8 years old when her family was forced to flee Palestine. She has since lived and worked from London and Vermont, staying closely affiliated with Palestine by way of humanitarian aid and art. Shawa studied at the Leonardo da Vinci School of Art in Cairo and the Academy of Fine Arts in Rome. Her work has since forged a space in which she lends a voice to the Palestinians in a time when they cannot speak for themselves. With work featured in exhibitions all over the world, Shawa has most recently started a socio-political critique of the role of women in the Arab world, bringing issues of colonialism, patriarchy, extremism, and sexism to light. Above all, Shawa’s artworks are acts of creative defiance. Ambitious, outspoken and bold, Linda shatters stereotypes of Muslim women while also treasuring her religious and ethnic heritage. She is a Palestinian Muslim American and a self-proclaimed “pure New Yorker, born and raised in Brooklyn!” Sarsour has been at the forefront of major civil rights campaigns, calling for an end to unwarranted surveillance of New York’s Muslim communities and working to build solidarity amongst American Muslim communities. She is a member of the Justice League NYC, a group of activists and artists dedicated to reforming the criminal justice system. She was a leading organizer of the Women’s March this past January. A Palestinian woman from New Jersey, Maysoon Zayid is a stand-up comedian with cerebral palsy. Her disability proved to be a strength early in her acting career when she realized that embracing it with humor was the key to more stage time. As she told the BBC, “It became very obvious to me that in the United States of America, a fluffy ethnic disabled chick was never going to get a job unless she did stand-up.” Using comedy to address and challenge issues of gender inequality, Arab stereotypes, American politics, and the Palestinian-Israeli conflict, Zayid is an activist with wit and flair. The comedian is a co-founder of the New York Arab-American Comedy Festival, now entering its 14th year. She spends several months of the year in Palestine running workshops for disabled and orphaned kids in refugee camps, using art to help them deal with trauma. Born in Kuwait in 1970 to refugees of the 1967 War, Susan Abulhawa is no stranger to the struggles of displacement. At 10 years old, she moved to East Jerusalem, where she boarded at an all-girls school and orphanage before leaving to the US. While those conditions might sound difficult, Abulhawa remembers them joy, finding bliss in being able to explore her family’s roots in a way that many refugees cannot. She graduated from Pfeiffer University and received her Master’s degree in Neuroscience from the University of South Carolina. Well on her way to a career in medicine, she was inspired to write Mornings in Jenin, a fictional novel inspired by the courage and humanity of the citizens of Jenin and illustrative of the Palestinian sense of rootlessness. 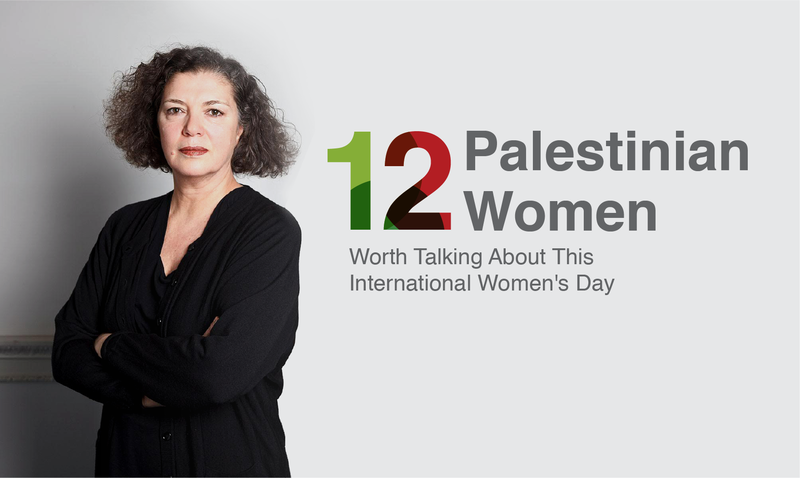 Mona Hatoum is an acclaimed artist whose works explore identity as defined by displacement in an increasingly divided world. Typically working in performance, video, sculpture, and installation, she has featured pieces in exhibitions across the globe. Hatoum has experienced considerable international success, most recently featuring a retrospective of 35 years of work at the Tate Modern in 2016. Born in 1952 in Beirut, she now resides and creates in London. Actress Najla Said is a Palestinian-Lebanese-American Christian; growing up in New York City, her identity was anything but clearly defined. The daughter of prominent literary critic Edward Said, she spent her childhood in one of the most influential intellectual households in America.